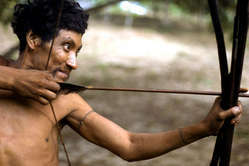 Hunting is the main source of protein for many tribal people, and is central to their identity. But when their land is stolen from them in the name of conservation, tribal hunters become “poachers” overnight. And they face arrest and beatings, torture and death, while fee-paying big game hunters are encouraged. Hunting is the main source of protein for many tribal people, and is central to their identity. But where control of their land has been taken from them, such as when an area is made a national park, hunters suddenly become poachers with devastating results. 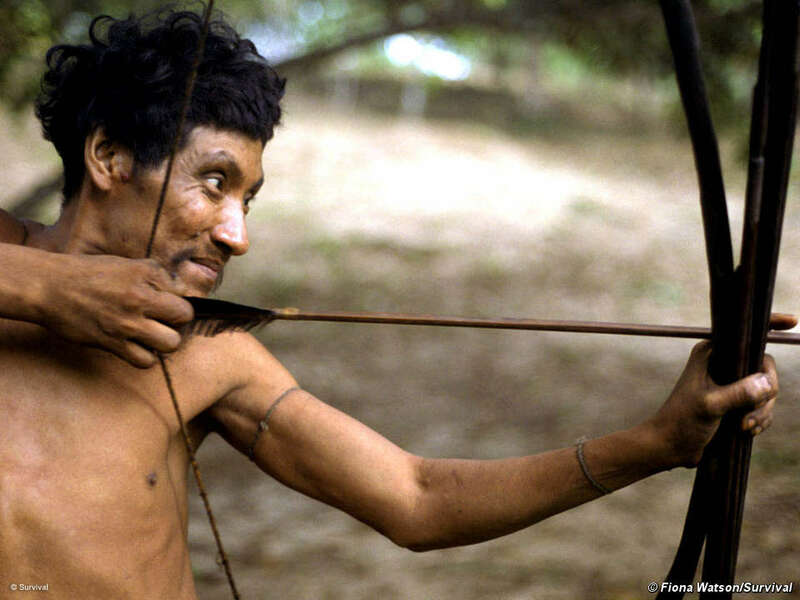 Awá man with bow and arrow, Posto Tiracambu, Caru, Brazil, 2000. The difference between poaching and hunting is one of permission. Poaching is hunting without the approval of whoever controls or owns the land. Tribal hunters can become “poachers” overnight, when governments declare their land a national park or conservation area without the tribe’s knowledge or consent. The hunters are then left two options: break the law, or let their families go hungry. Governments often disproportionately punish local tribal hunters trying to feed their family, when in fact, organized gangs of commercial hunters are what really undermine conservation, not local people hunting for their food. The authorities even use poaching as a rationale for relocating tribal communities away from parks. Ironically, one highly effective way to reduce the problem of “commercial poachers” is to allow tribal peoples to continue their traditional hunting practices and encourage and enable them to report illegal poaching activity to the authorities. 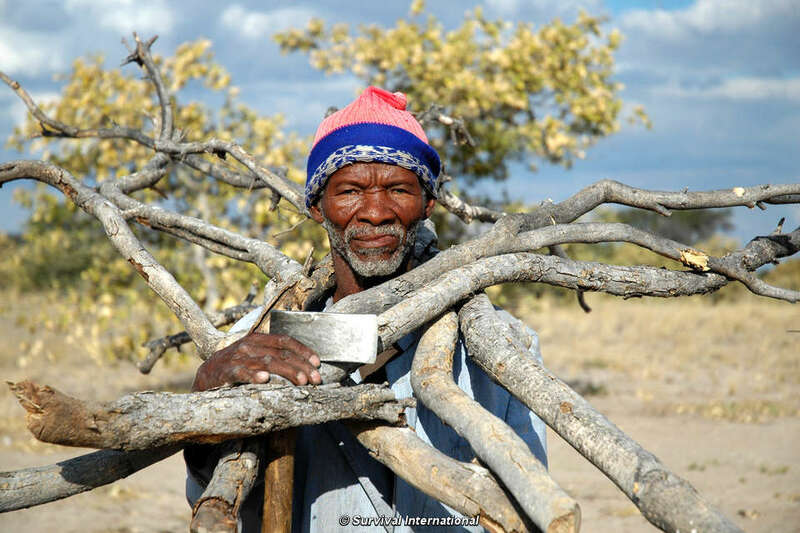 When the Botswana government wanted to evict the Bushmen from the Central Kalahari Game Reserve, it demanded that they apply in writing for hunting permits. Whether a Bushman could hunt or not became dependent on his literacy and the discretion of the Director of the Wildlife Department. In this way, hunting was effectively outlawed and Bushmen hunters were turned into ‘poachers’. 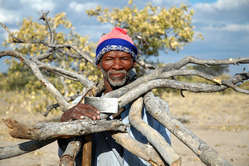 Bushmen caught hunting inside the reserve face arrest, beatings, and torture at the hands of game wardens. In Tanzania, the government and a safari hunting company brokered a deal to turn the ancestral homelands of the Hadzabe tribe into reserve for fee-paying big game hunters. When a group of tribesmen were caught hunting to feed their families, they were imprisoned for “poaching”. Six lost their lives. 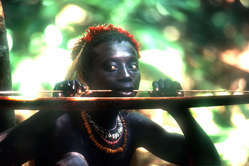 India’s Jarawa tribe live by hunting pigs and lizards, and fishing with bows and arrows in their dense forest home on the Andaman Islands. In 2004 the government declared the Jarawa have the right to choose how they live, and to hunt on their land. Poachers from outside have been coming into the forest, hunting the game the Jarawa rely on. In 2008 some Jarawa became so frustrated about this that they tied two gangs of poachers to trees and reported them to the Andaman authorities. Conflict between poachers and the Jarawa escalated and there have been deaths on both sides. Outsiders poaching on Jarawa land pose a serious threat not only to the animals in the region, but also to the Jarawa themselves. In the first filmed interview with a Jarawa man, he talks about the problems of commercial poachers on Jarawa land. Take action: write to the Indian government urging it to close the road into the Jarawa’s reserve.